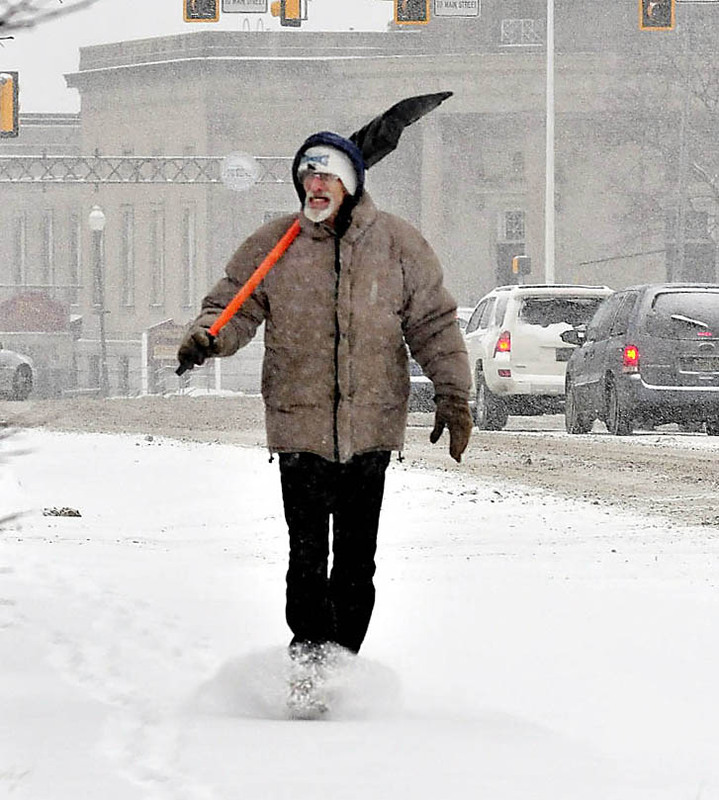 A steady snowfall blanketed the region on Tuesday, closing schools and businesses and slowing traffic. 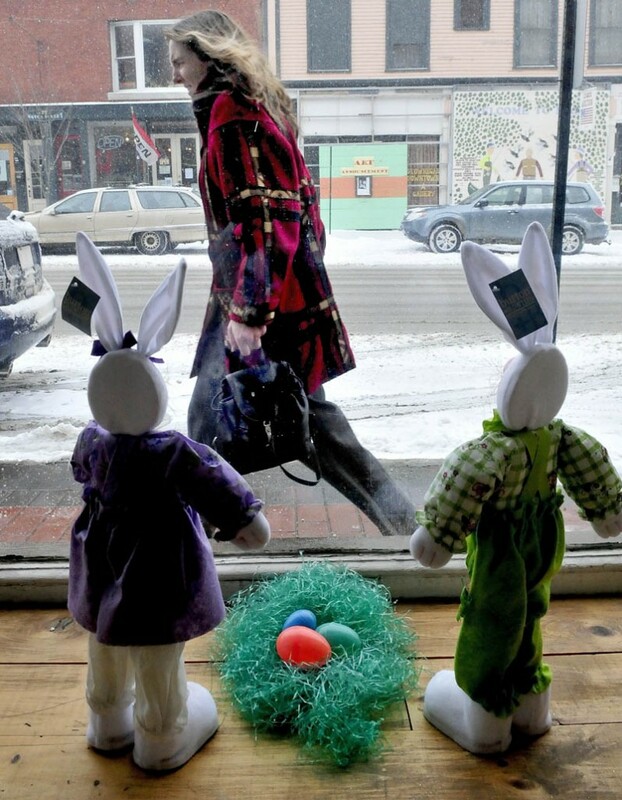 WATERVILLE — A steady snowfall blanketed the region on Tuesday, closing schools and businesses and slowing traffic. 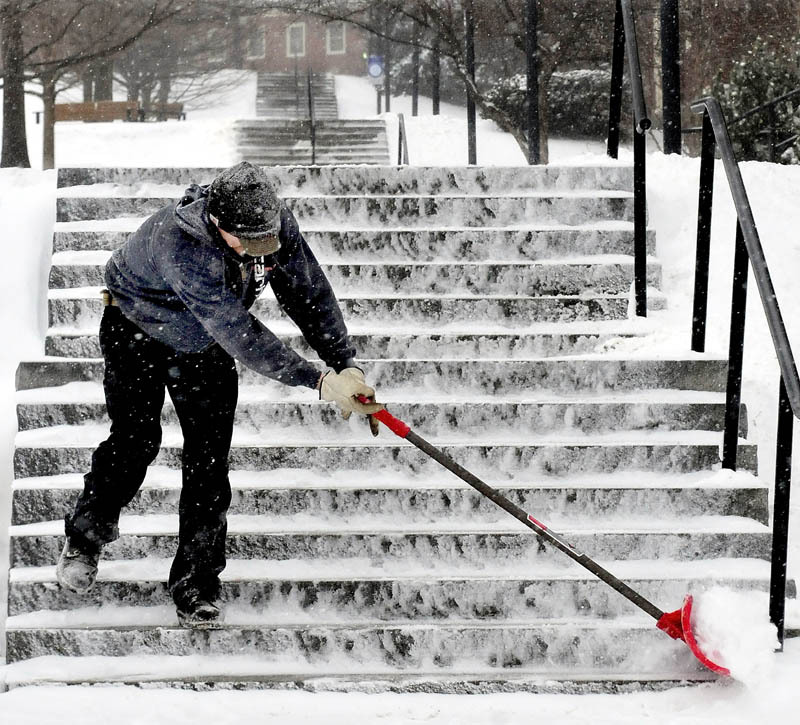 The storm, which developed off the coast of New York’s Long Island, had deposited about 5 inches on Portland by Tuesday evening and was making its way north, where it was expected to dump upward of a foot of accumulation on central Maine. In Waterville light snowfall began around 6 a.m. and was predicted to continue through early this morning, according to meteorologist Tom Hawley at the National Weather Center in Gray. Gusty wind of up to 30 mph was expected for overnight with the heaviest snowfall around midnight, Hawley said. There was at least one serious accident Tuesday, but no others were reported, said Ted Talbot, public information officer for the Maine Department of Transportation. Around 12:15 p.m., a fully loaded tractor-trailer collided with an SUV in what appeared to be a weather-related accident on Route 139 in Benton, Maine State Police Trooper John Lacoste said. The SUV’s driver appeared to have slid across the road into the lane of oncoming traffic and its driver, whose name was not released Tuesday, was taken to MaineGeneral Medical Center’s Thayer campus in Waterville with serious injuries, said Lacoste. The accident closed the road for nearly three hours. Roads were mostly wet with some slush and snow and only a slight danger of freezing, Talbot said. In some areas of the state, speed restrictions were in place — including the Augusta area, where the speed limit on Interstate 295 was reduced to 45 mph, he said. In Waterville, Public Works Director Mark Turner said road crews were doing their best to keep up with the storm. 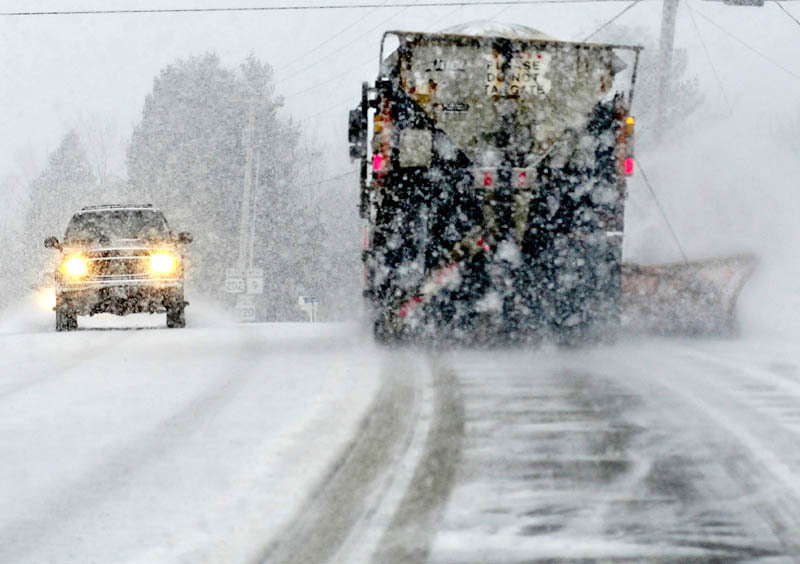 Crews started sanding and plowing roads about 7 a.m. and expected to be busy into early Wednesday morning, Turner said. 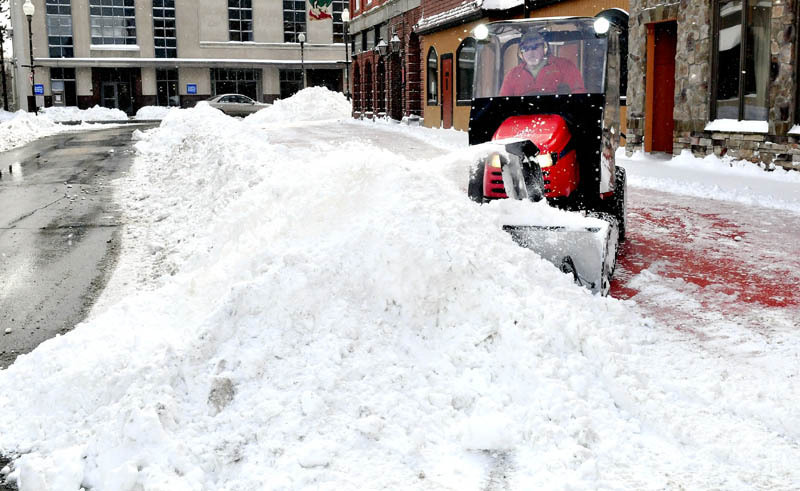 The regular winter parking ban, which is in effect from Nov. 30 through April 1 and prohibits street parking between midnight and 6 a.m., would be in place, he said. There was no need for an emergency parking ban as was the case with some of the storms this winter. “It is a very routine, normal storm. I don’t think it is unmanageable,” Turner said. The weather was enough to cause a number of schools and businesses to close, though, including school districts based in Anson, Fairfield, Oakland, Skowhegan and Waterville. Kennebec Valley Community College in Fairfield also was closed, and classes were canceled at Unity College in Unity. Town offices in Fairfield, Newport, Skowhegan and Winslow closed early, as did City Hall in Waterville. At Eaton Mountain in Skowhegan, which closed for the season earlier this month, the snow had the opposite effect. It was enough for the ski area to reopen for the coming weekend. Owner Dave Beers said the mountain had only about 2 inches of new snow Tuesday afternoon but that it was falling heavily and he expected at least 6 inches by the storm’s end. “If the forecast holds and we don’t get rain, we’re gonna give it another go,” he said.